In Asia and sub-Saharan Africa, smallholder farmers still face challenges in obtaining good quality seeds on time, mainly due to lack of access to information about them. 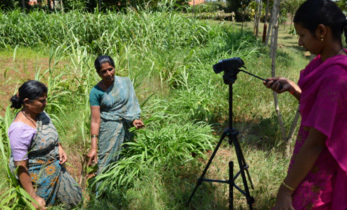 To address this need, ICRISAT’s Digital Agriculture team, as part of the HOPE II and Tropical Legumes III projects, has created an online seed catalog and a digital seed roadmap tool. 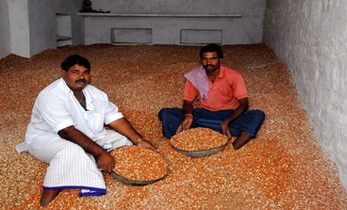 At the national level, seed roadmaps enable governments, small-scale seed producers and the private sector to plan, produce, monitor and provide quality seed to smallholders, no matter what the locality. Both the seed catalog and digital seed roadmap are now available to actors and stakeholders in the seed system. during 11-12 December 2018, in order to better plan seed production in Mali. 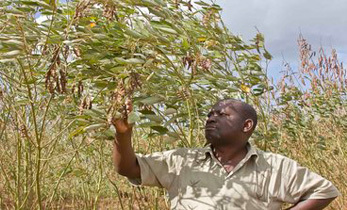 “The common goal is access to quality seeds, in adequate quantity and in a timely manner by smallholders, which is important for the transformation of agriculture in Africa,” said Dr Aboubacar Touré, sorghum breeder, acting on behalf of Dr Ramadjita Tabo, ICRISAT Regional and Research Program Director for West and Central Africa. Mr Satish Nagaraji, Senior Manager, Digital Agriculture (M&E & Tools), ICRISAT, and Mr Krishnam Raju, Keansa Solutions, introduced the participants to the basics of the online seed catalog, including changing the language of the tools (from English to French) for better management. They demonstrated how to update the seed catalog by adding newly registered varieties and varietal characteristics. “The online catalog is a memory bank for young researchers looking for characteristics of even old varieties,” said Mr Alfousseiny Maiga, a PhD student in plant breeding. “It allows us to focus our research as well,” he added. 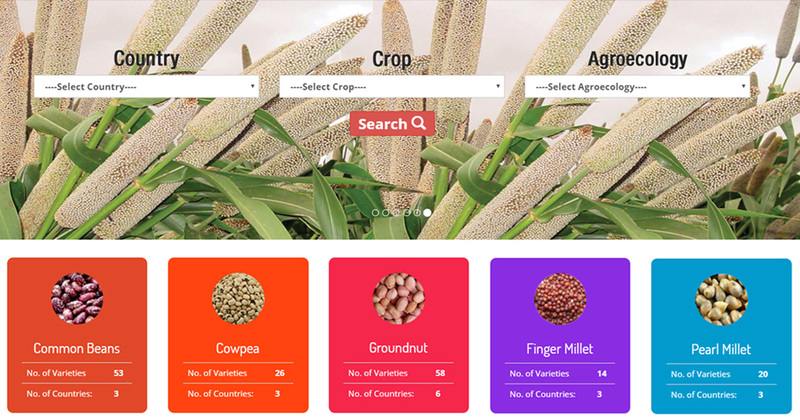 In Mali, this online varietal catalog takes into account four main crops (sorghum, millet, groundnut and cowpea). By the end of the training session, registered information on these crops went from 55% to 95%. The percentages of sorghum and millet data covered in the seed catalog increased from 58% and 48% to 99% and 94%, respectively. Impressively, online data capture about cowpea went from 23% before the training to 87% after the training. The workshop saw enthusiastic involvement from over 60 participants. 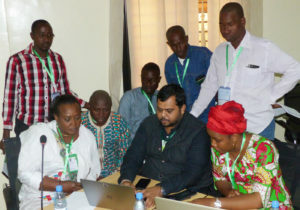 After the hands-on training session on the use of the digital seed roadmap tool, many of them felt that the tool would be very useful for planning their seed production cycles. 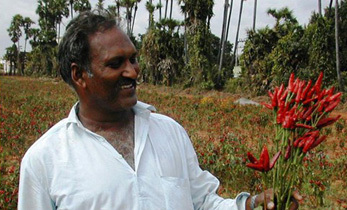 They expressed the wish that the catalog be extended to farmers. “It’s a great experience for me and my company. From now on, we will not be afraid of losing our data because we will be able to find them in the online catalog,” said Mrs Oumou N’tji Coulibaly, Deputy Director of the Faso Kaba Seed Company, who is attending such a training for the first time. 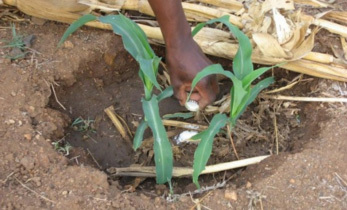 Modernizing seed management tools is important for the transformation of agriculture in Africa. 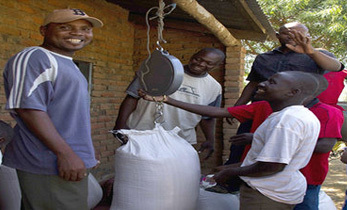 Digital solutions such as the online variety catalog and computerized seed production planning guide are major steps forward against poverty and hunger in the world. Click here to read about the workshop in Ethiopia last year. The next workshop in this series will be conducted in Kano, Nigeria, during 31 January – 1 February 2019. Partners: Institut de l’Environnement et Recherches Agricoles (INERA), Burkina Faso; Institut d’Economie Rurale (IER), Mali; Institute for Agricultural Research (IAR) of Ahmadu Bello University (ABU) and Usmanu Danfodiyo University of Sokoto (UDUS), Nigeria; Ethiopian Institute of Agricultural Research (EIAR), Ethiopia; Department of Research and Development (DRD), Tanzania; National Semi-Arid Resources Research Institute (NaSARRI) of the National Agricultural Research Organization (NARO), Uganda. Partners: International Centre for Tropical Agriculture (CIAT); International Institute of Tropical Agriculture (IITA); Institute for Agriculture Research, Ahmadu Bello University (IAR-ABU); Centre for Dryland Agriculture, Bayero University, Kano (CDA-BUK); Federal University of Agriculture, Makurdi (FUAM); Council for Scientific and Industrial Research Institute - Savanna Agricultural Research Institute (CSIR-SARI); Institut de l’Environnement et de Recherches Agricoles (INERA), Burkina Faso; Heritage Seeds Company Ltd and Epam Seeds Pvt. Ltd; local Nigerian Agricultural Development Projects; and ICRISAT.